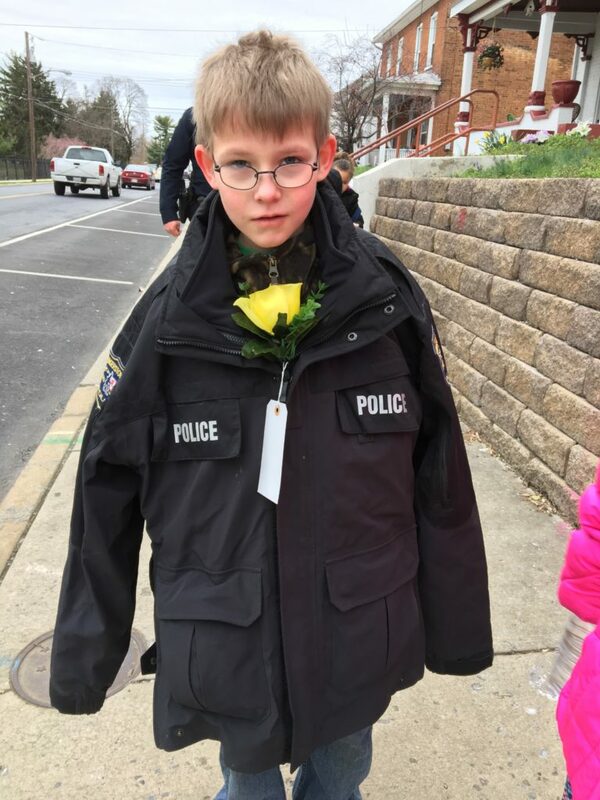 The fifth installment of the Bester Walking School Bus linked the Hagerstown Police Department with the children of Bester Elementary who walk to school. Officer Gerry Kendle and a team of seven officers spread out over four locations to greet students and join them on their journey. 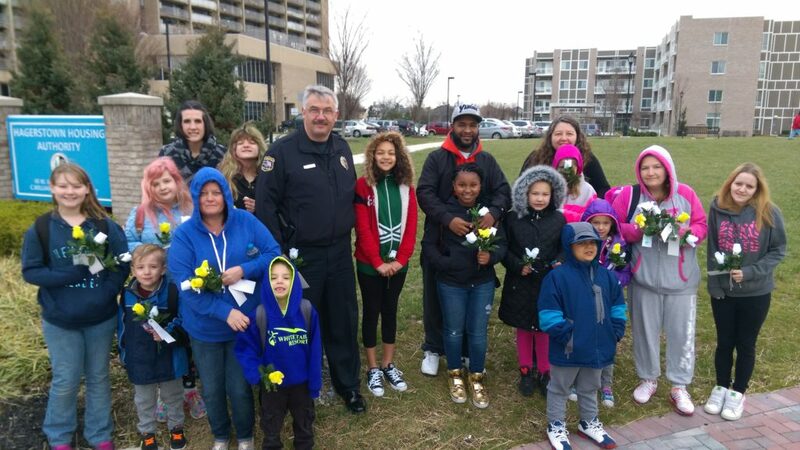 As children arrived they were given two decorative flowers and given the task of attaching and writing a note on each to spread kindness: One for a local hero in their neighborhood who makes a difference in their life, and the other for someone at school who they appreciate. 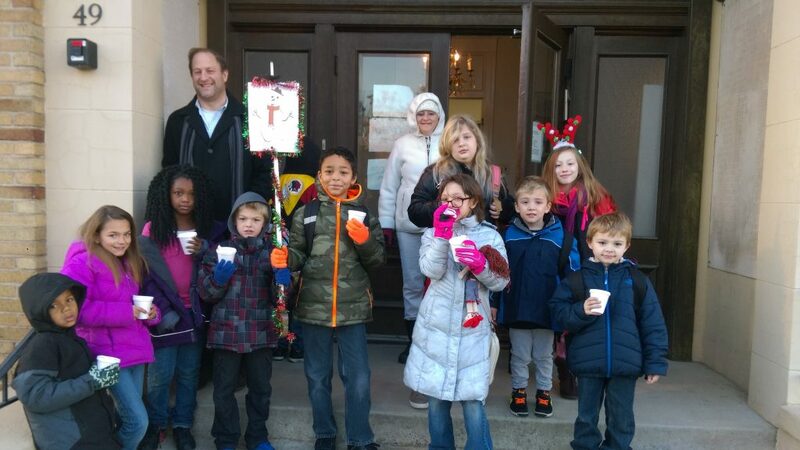 As they finished their efforts and were ready to begin their walk, they received a bottle of water and a healthy breakfast appetizer: assorted candy! 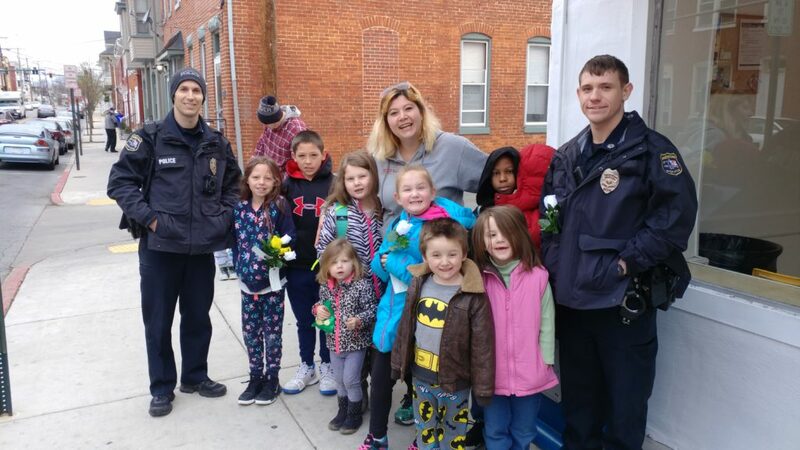 Kids also met near the Auto Spa and the Triple Coin Laundromat, both located on Baltimore St, and spent time getting to know their local officers and enjoying the time together on a chilly morning. 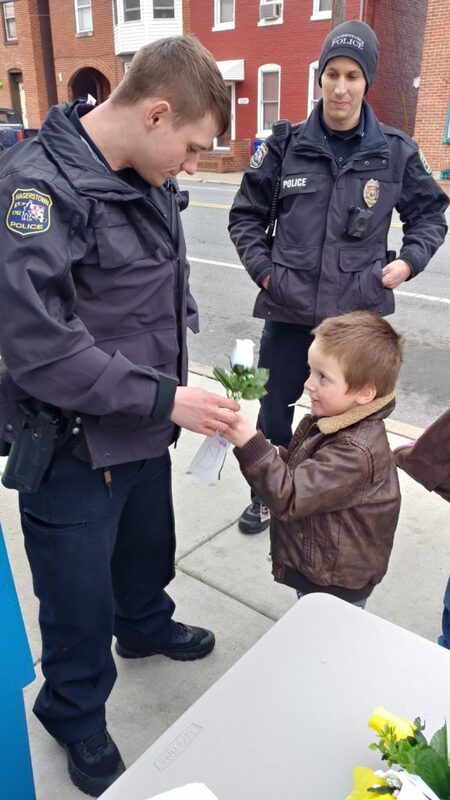 At the Auto Spa meeting point kids asked the Officer to pose in pictures with their family, and at Triple Coin, one young student decided that he wanted to give his flower for a local hero to the police officer for being there today. Bester Elementary’s Walking School Bus is a monthly parent-led effort focused on attendance, supported by community partners including the Bester Community of Hope. Interested in participating or have great ideas for a fun theme? Let us know at 240-513-6370 or by e-mail at connect@besterhope.org. See you next month! 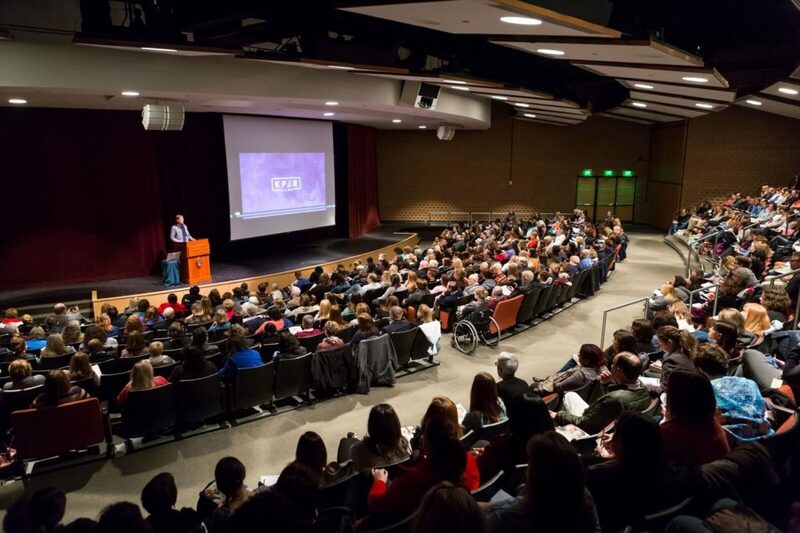 Close to 500 attendees packed the Kepler Theater Friday morning March 24th on the campus of Hagerstown Community College for the sold out event “Building Resilience”, an event organized by the San Mar Initiative, Bester Community of Hope. 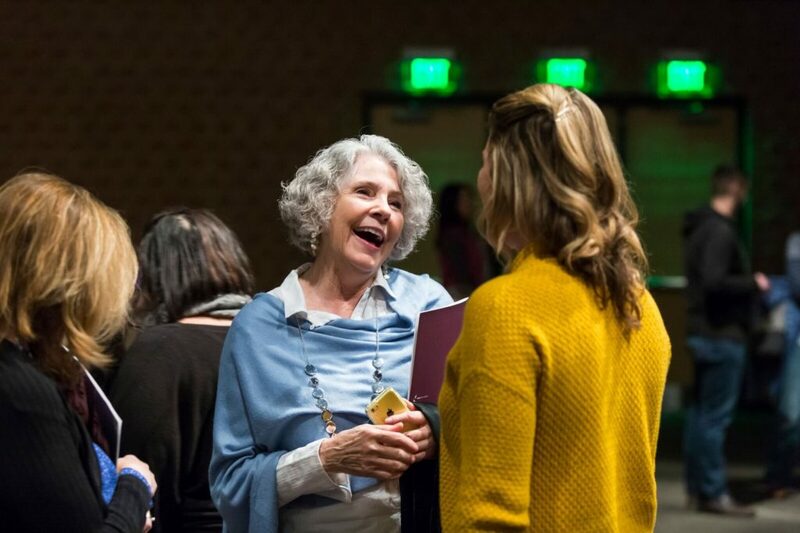 Following two successful events in 2016 focused on trauma informed practices, the training focused on the next steps of a community wide discussion to build greater awareness and implementation of beliefs and strategies bringing positive outcomes for children and families living in vulnerable communities. 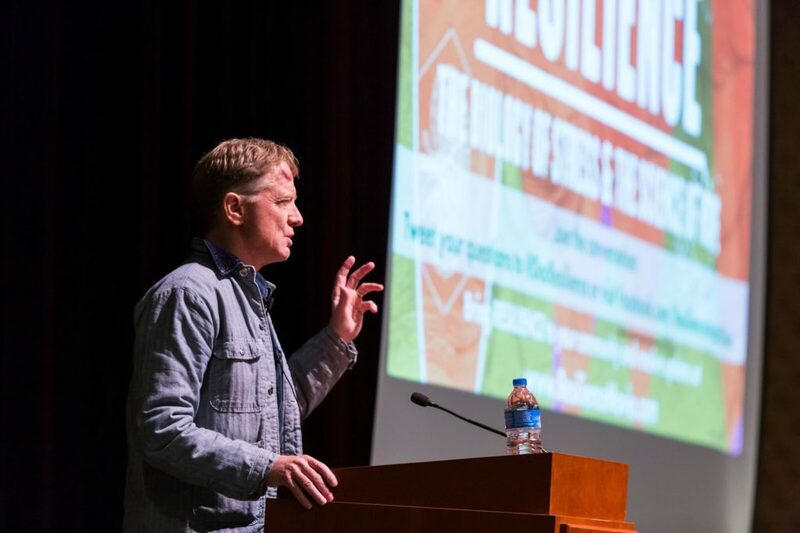 The event began with a special screening of the documentary “Resilience: The Biology of Stress and the Science of Hope” where attendees could develop a deeper understanding of the theory behind the Adverse Childhood Experience (ACE) study and see practice implementation in a variety of settings. 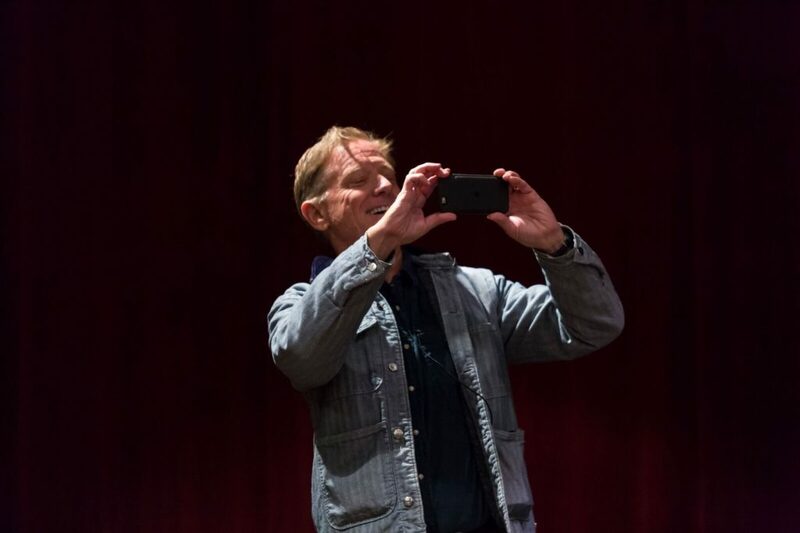 Afterwards, the audience welcomed Resilience director James Redford, who was able to describe his experiences filming Paper Tigers, at Lincoln Alternative High School in Walla Walla, Washington. 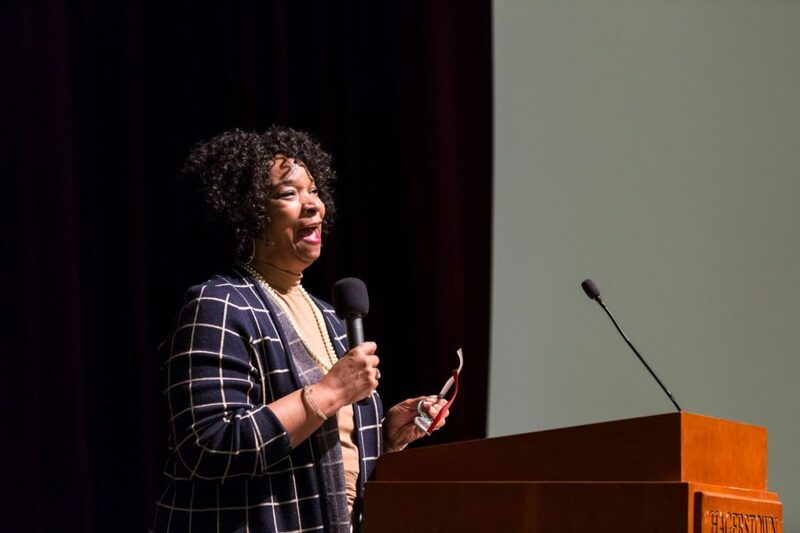 Redford used the platform to show vignettes of teachers and counselors describing situations where they used common sense relational approaches to get on the level of their students and break through the pain and struggles of their past experiences. Closing the event was child welfare expert and pastor of Shiloh Baptist Church in Trenton, New Jersey, Reverend Darrell Armstrong. Over the course of his speech Rev. Armstrong provided important statistics and background information on the implications of race in America and its direct impact on entry into a variety of systems such as prisons and social services. 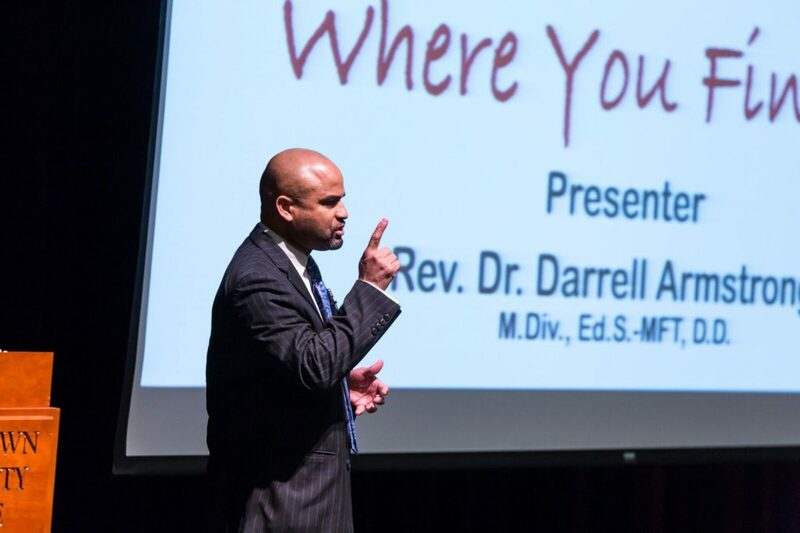 He also told his personal story of survival in the Los Angeles foster care system and his experience as a young child navigating foster homes and being faced with ongoing family struggles. 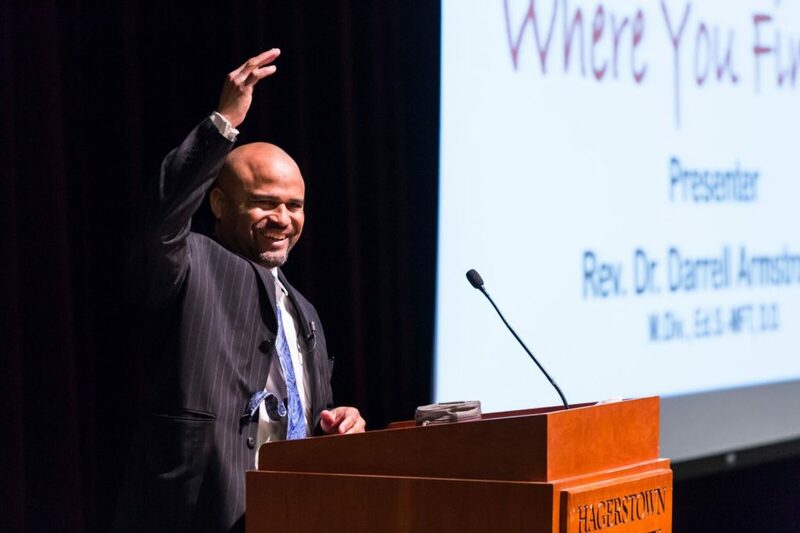 His story was highlighted by the positive impact of a significant relationship, for him that of a social worker, who made the difference in his life as he ultimately beat the odds and graduated from Stanford University and Princeton Theological Seminary. This event was made possible through the generosity and support of a variety of sponsors and partners including the Washington County Department of Social Services, Alice Virginia and David W. Fletcher Foundation and Casey Family Programs. 2016 represented our first full year of operations in the Bester neighborhood, looking back we know the journey is just beginning but we are so thankful to our partners and funders who are helping to turn this vision into reality! Click here to read the full report! 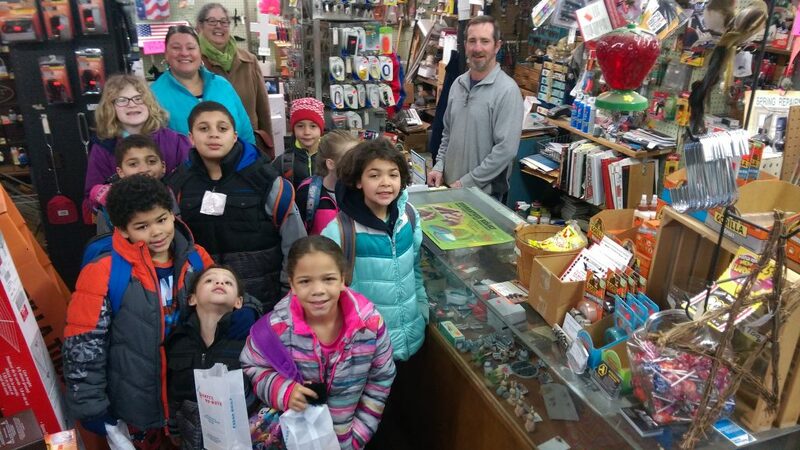 The fourth installment of the Bester Walking School Bus linked community organizations doing good work in the Bester district with children walking to school. Traveling from each of the four corners of the community, children and families met at either Partners in Pediatrics, Potomac Towers of the Hagerstown Housing Authority, Ladders to Leaders or Easter Seals. Upon arriving each child received beads and plastic instruments such as trumpets and kazoos to make music. 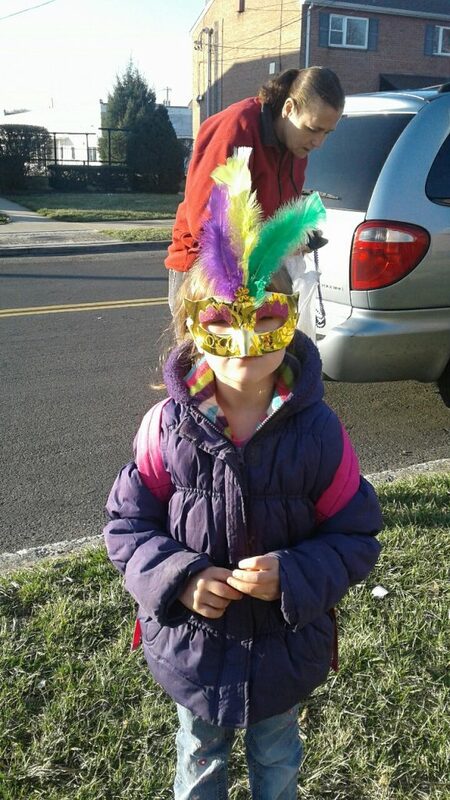 Several kids at each station even received some fancy Mardi Gras masks and flair provided by Bester parent Elizabeth Alberding. At the Partners in Pediatrics stop, AmeriCorps VISTA Rafi Hoq amplified zydeco music from his phone during their group’s walk down Memorial Boulevard. 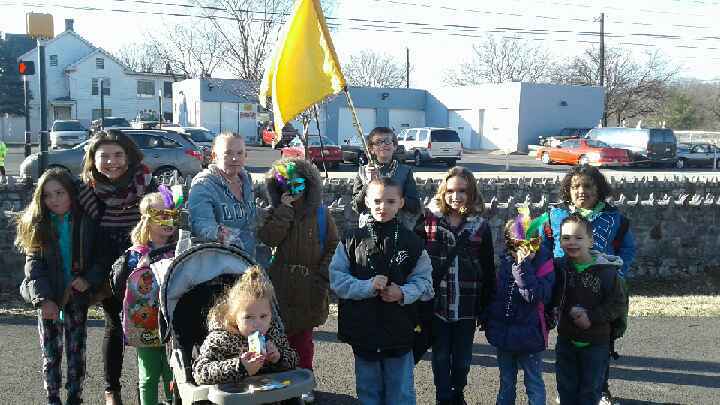 One youngster was curious, “What is Mardi Gras?” Bester parent Joy Franklin took the time and gave the explanation of the history of the holiday while other kids waved flags and played kazoos. Quite a few parents joined the walk at the Ladders to Leaders stop, a local organization focused on recovery support for families impacted by substance use. There were all sorts of connections and conversations including sports and Santa. You read that correctly, kids are already planning for Christmas! At the Easter Seals stop, a mom dropped off her two kids to join the walk before she headed to work. On the way down Locust Street kids were dancing on the sidewalks and gave beads away to the crossing guards as well as people on their porch. 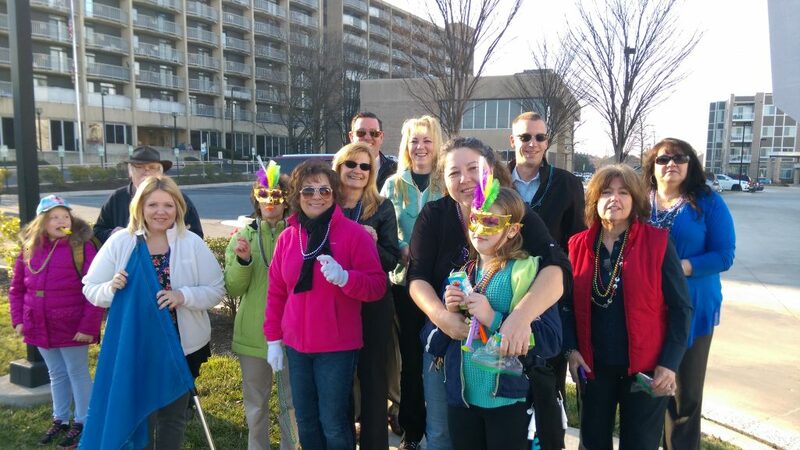 A large group of energized employees from the Hagerstown Housing Authority came together to join some students and parents on their walk to school. They used their plastic instruments to hum songs like “When the Saints Go Marching In” and “Eye of the Tiger”, a memorable wake up call for residents on Baltimore Street. 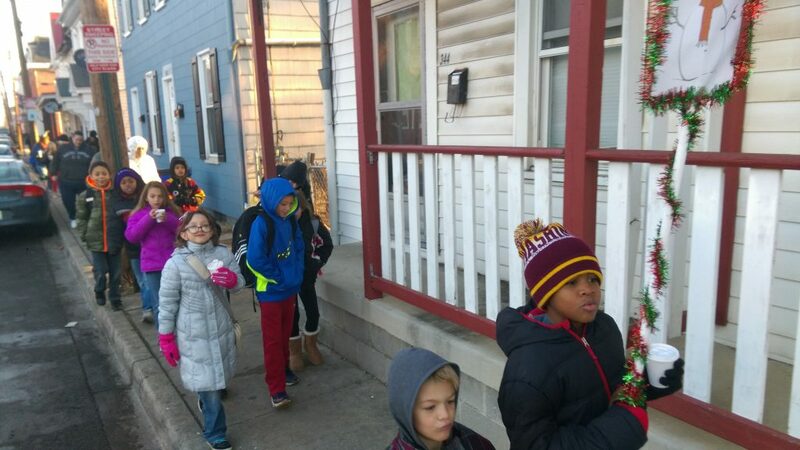 The third installment of the monthly walk to school effort linked local businesses in the Bester district with children walking to school on a chilly January morning. Traveling from each of the four corners of the community, children and families met at either Pope Tire, G & G grill, Startzman’s Hardware or the corner opposite of Advance Auto Body. 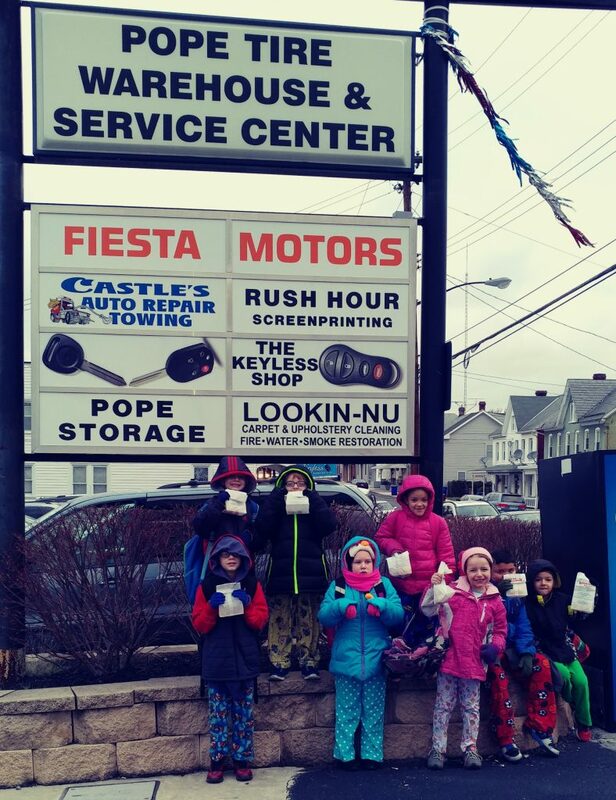 Upon arriving each child received a bag of donut holes from the popular local business Krumpe’s Donuts as well as a pair of gloves from Bester Community of Hope. 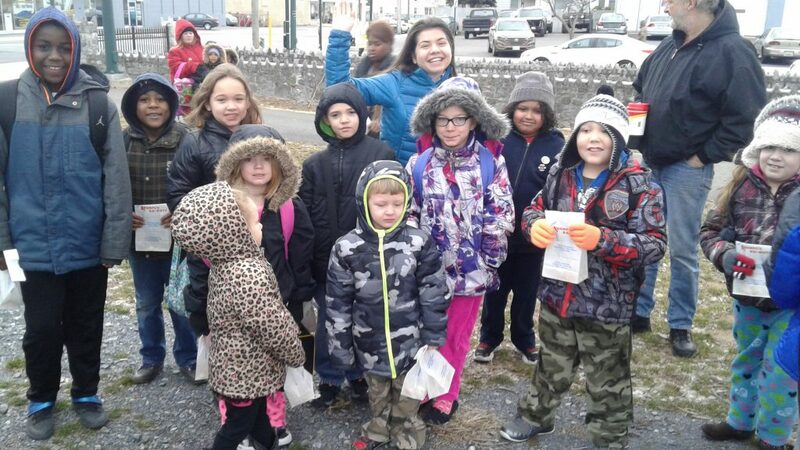 Bester Elementary’s Walking School Bus is an ongoing effort is a monthly parent-led effort focused on attendance, supported by community partners including the Bester Community of Hope. Interested in participating or have great ideas for a fun theme? Let us know at 240-513-6370 or by e-mail at connect@besterhope.org. See you next month! 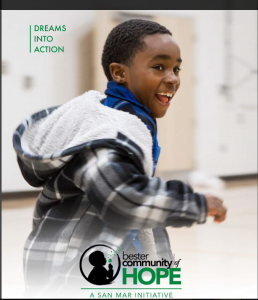 National organizations recently highlighted the ongoing effort of Bester Community of Hope in their publications: Exponent Philanthropy and Casey Family Programs. Although we have put a great deal of time and energy into this initiative we are still early in our process, so it is encouraging to see others acknowledging the work and our partners! 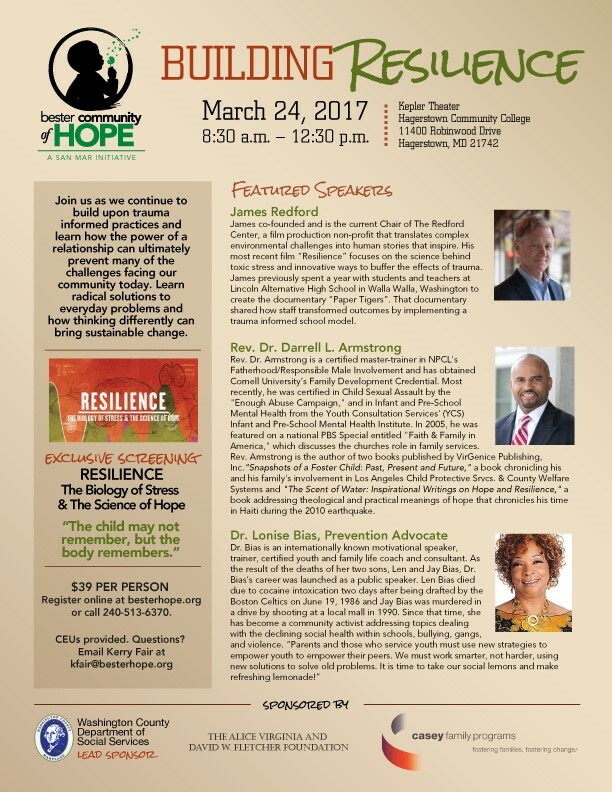 Register today for “Building Resilience” on March 24th! Houses of faith located in the Bester Elementary district partnered to support families who walk to school no matter what weather awaits them on their journey. 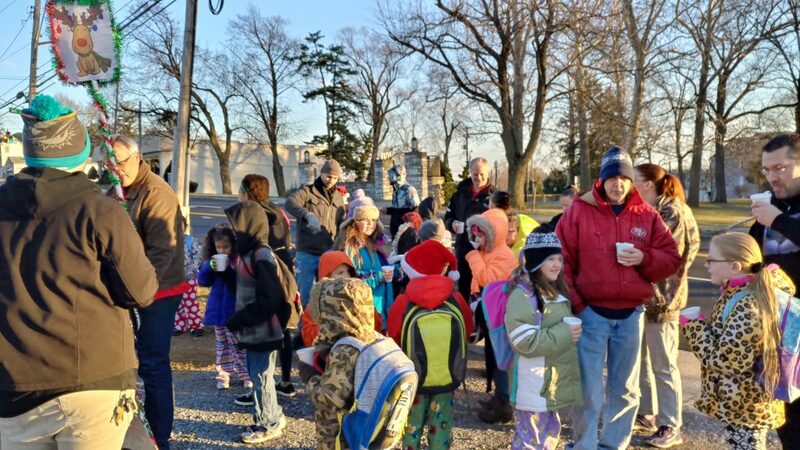 Four institutions, one at each corner of the district, set-up free hot chocolate, friendly volunteers wearing elf hats, and caroling sheets to make the last walk to school before the holiday break special. Congregation B’nai Abraham synagogue, Emmanuel United Methodist Church and Saint John’s Episcopal Church all welcomed families to their buildings, while Lifehouse Church set-up a stand across from Hager Park. Lifehouse church had just spent the previous day distributing a gift to all six hundred children at the Elementary school, and didn’t hesitate to return the next morning to continue serving others. All four groups converged at the main entrance of Bester Elementary singing songs with parents before entering the building for their last day before the break. The Bester district includes a large concentration of houses of faith, sixteen in total, that serve diverse groups and provide opportunities for relationship and connections. Members of those congregations work hard to give back to the community in a variety of ways, including volunteerism, resources and responding to identified community needs. 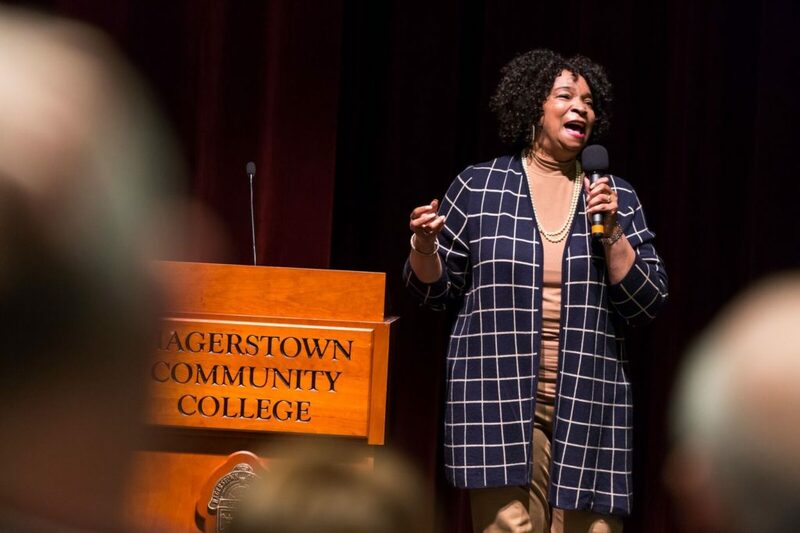 Bester Community of Hope has worked with the Hagerstown Area Religious Council (HARC) to support their efforts in bringing together houses of faith under their shared beliefs and desire for a stronger neighborhood. 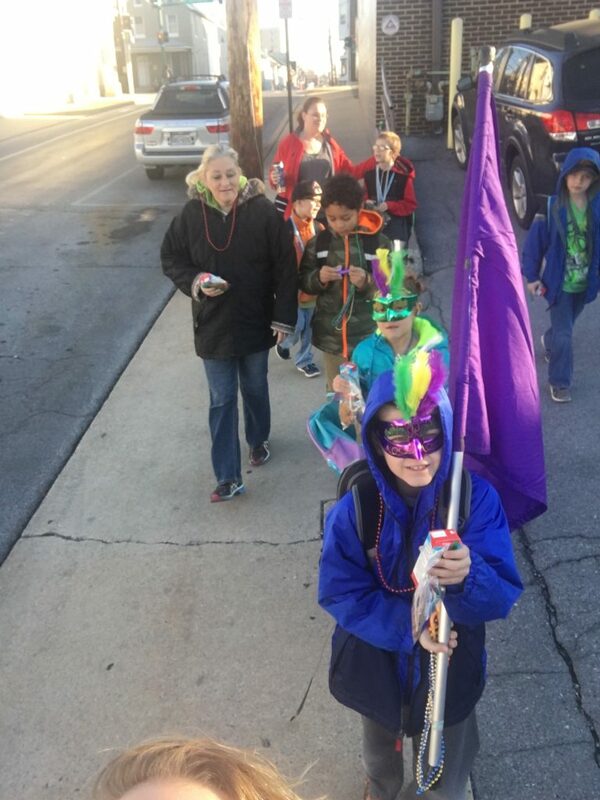 The walk to school initiative, is a monthly parent-led effort focused on attendance originating from the PTA at Bester Elementary School, supported by community partners including the Bester Community of Hope. 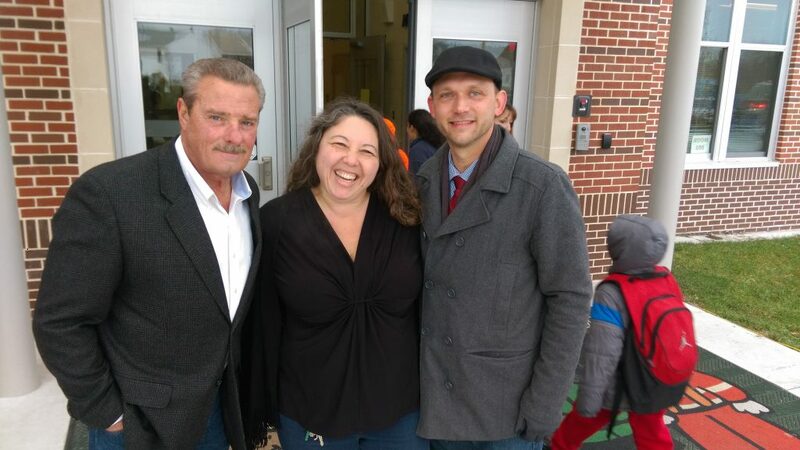 The first walk to school event occurred last month with outgoing Hagerstown Mayor David Gysberts and incoming Hagerstown Mayor Bob Bruchey uniting to walk with Bester youth. Bester PTA parent Kay Papeskov, who is spearheading the effort, plans to continue this effort on a monthly basis. A special thanks to each partner organization that made today a possibility! Interested in participating? Let us know your ideas so we can keep taking steps forward! It was a cold Monday morning to begin a new school week following the Thanksgiving holiday, but thanks to the efforts of Bester Elementary PTA parent Kay Papeskov, the first steps were taken toward a new idea to bring community members alongside the children and families of the school, to encourage school attendance and a stronger culture of camaraderie and kindness in the neighborhood. 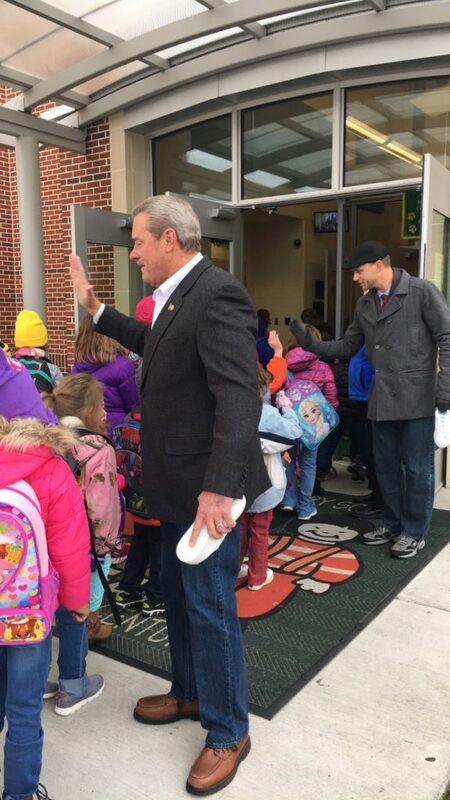 Mayor Elect Bruchey was joined by Washington County Public Schools Superintendent Dr. Clayton Wilcox to walk to school from Hager Park with excited students down Mill Street, while Mayor Gysberts led a group of families from Memorial Park. Both groups were escorted by members of the Hagerstown Police Department and the 2nd Battalion Hagerstown Fire Department, including fire engines and police vehicles. Both groups met at the main entrance to Bester Elementary to give words of encouragement to students about the importance of regular school attendance and being kind to each other. There to model that behavior first hand were Bruchey and Gysberts, who were united in their support of Bester’s children, and of each other. Together they signed a pair of commemorative shoes along with Superintendent Wilcox and Bester Principal Kristi Bachtell to display as an ongoing reminder to students, that accomplishing dreams starts one step at a time. In the Bester school district, the vast majority of students walk to school, sometimes at quite a distance and in challenging conditions. The event on Monday was an important way to build unity and community collaboration as well as highlight some key efforts occurring in the school and around the Bester community including: emphasizing school attendance, showing children that the community at-large cares about their success, and to tie in to Positive Behavioral Interventions and Supports (PBIS) programming occurring at the school around the idea of “Choose Kind” and the book “Wonder”. The Bester PTA hopes to use this day to catalyze an ongoing effort where the community can support families who walk to school. Are you or your organization interested in helping with a future monthly walk to school event at Bester? 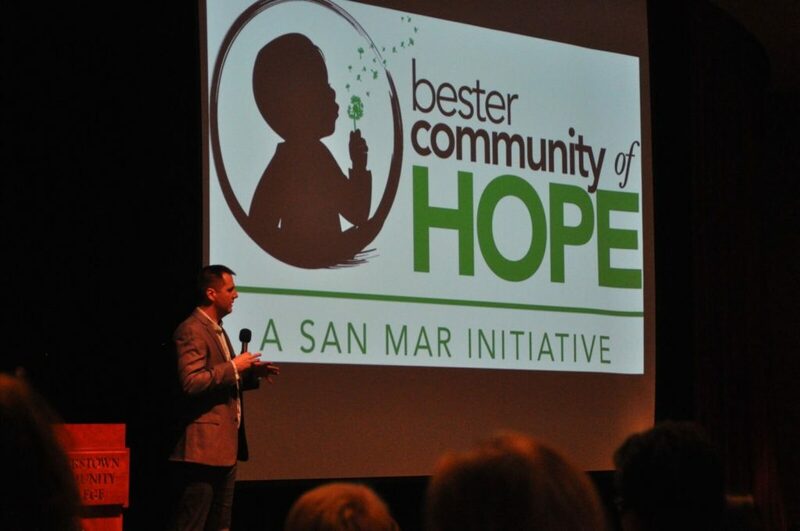 Let Bester Community of Hope know, we’d love to have you involved! Our special thanks to Mayor Gysberts and Mayor Elect Bruchey, who worked together and both demonstrated leadership, kindness and unity. We are proud to be a part of this great neighborhood and today represented a reason to be hopeful during this holiday season, one step at a time. You may have seen several of us wearing green t-shirts in your neighborhood over the past two months on nights and weekends completing the neighborhood perception survey, we’re happy to report we completed survey number three hundred twenty one today and we are officially done with our representative sample! Not a moment too soon, it’s getting cold out there! We’ll be reviewing this information with our community advisory board next Friday as yet another mechanism to really understand the experiences in the neighborhoods that comprise the Bester catchment. While the data we gathered was beneficial, our team found it equally if not more valuable to hear your feedback and learn all about every little detail that makes up this great community with our boots on the ground. Thanks for being so giving of your time when a stranger came to your door and asked you to do a 26 question survey, we were all humbled by your patience and willingness to participate! Over the next month we plan to make a variety of this data available on our website www.besterhope.org, and more importantly, transfer this knowledge into tangible actions. Also, as a part of our approach to take a close look at where the strengths and needs are in neighborhoods, this past Thursday BCOH gathered a group of social institution leaders at University Systems of Maryland at Hagerstown to focus on how we can study what the social institution data at the City and County level says about the best places to put our energy in the Bester neighborhood. Our primary focus is to listen and understand the feedback of the residents of Bester neighborhoods, but we also need to have easy access to data that comes out of our social institutions, such as education, health and social services to ensure we are on the right track. 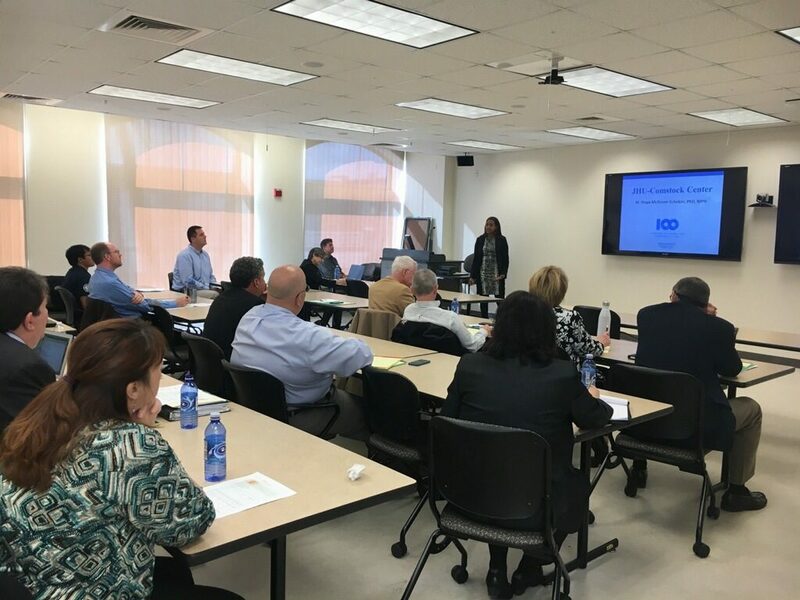 Experts from across the country shared strategies of the best ways to set-up a system of this type in Hagerstown, and over the next year we hope to be able to continue to make it easier to evaluate the best ways to understand what the data is telling us. 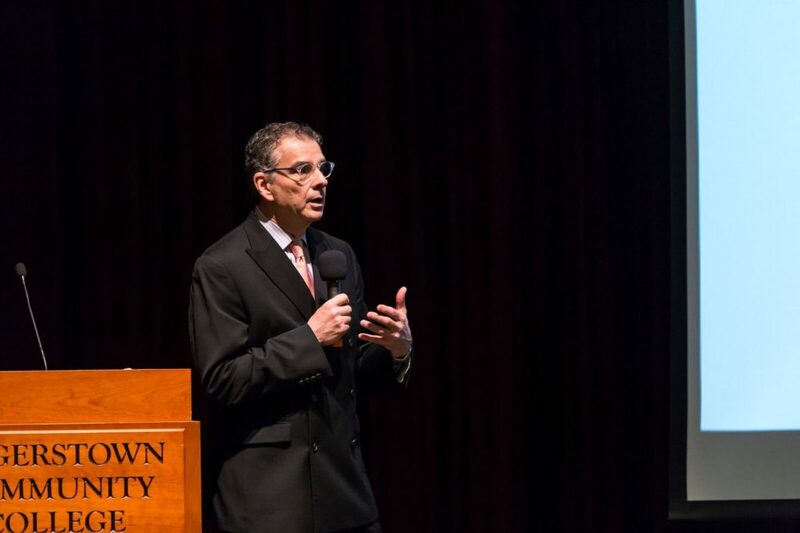 Speakers at this gathering included Dr. Maya McDoom-Echebiri (Johns Hopkins – Comstock Center, Hagerstown), Uma Ahluwalia (Director, Montgomery County DHHS), Tyler Corwin (Casey Family Programs) and Trudie Thomas (Policy Map). We’ll be meeting with several partners over the next six months with a target of a late Spring 2017 gathering to explore data across the City of Hagerstown and beyond as a tool for community progress. We’re excited to be a part of this effort, let us know if you’re interested in participating in the process!